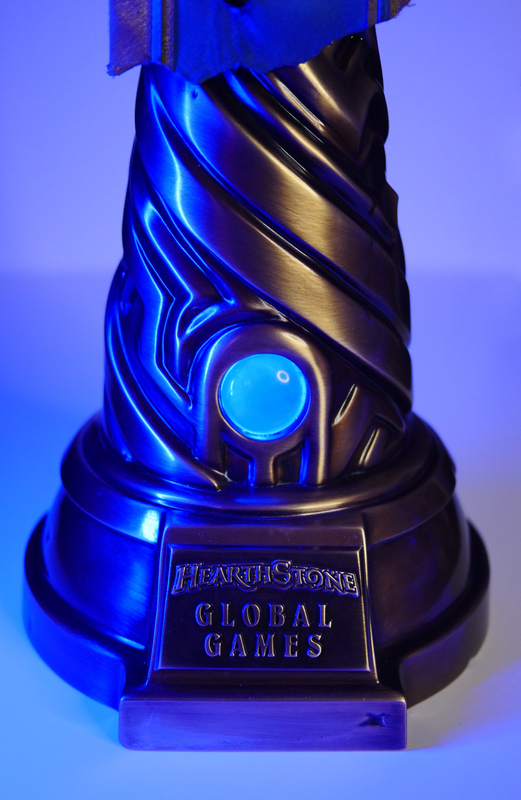 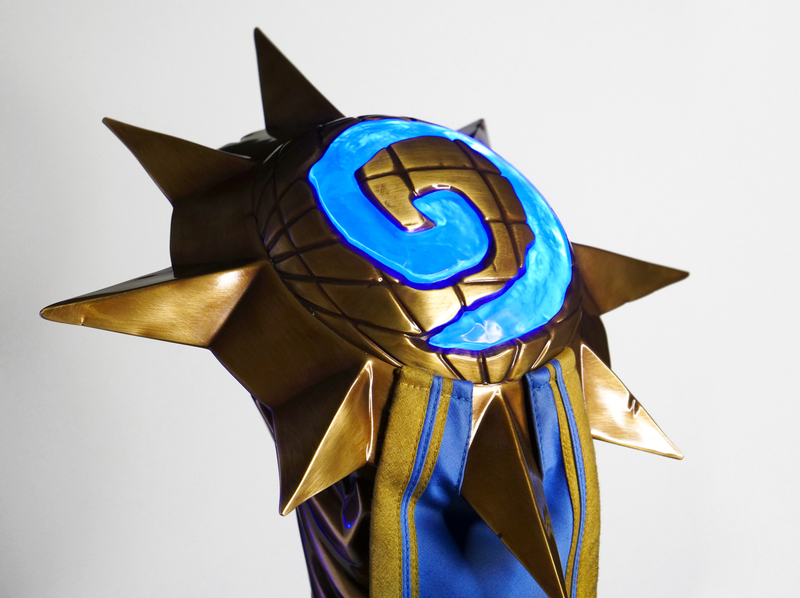 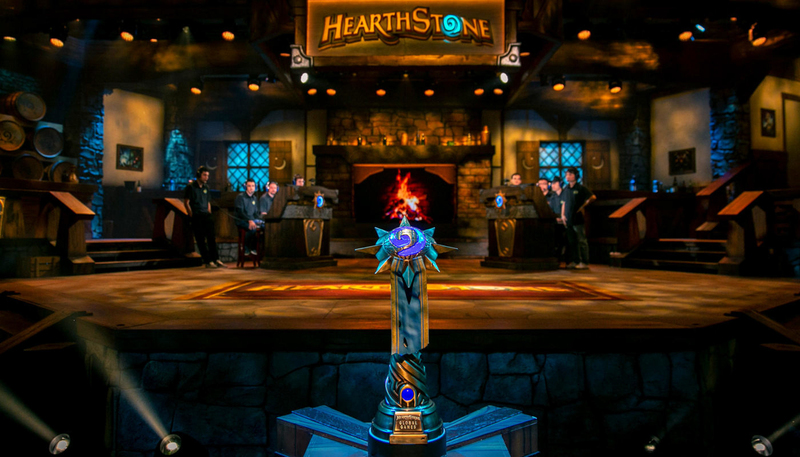 For Hearthstone’s 2018 Global Games World Championship, Blizzard requested an antiqued treasure piece to represent the championship trophy. 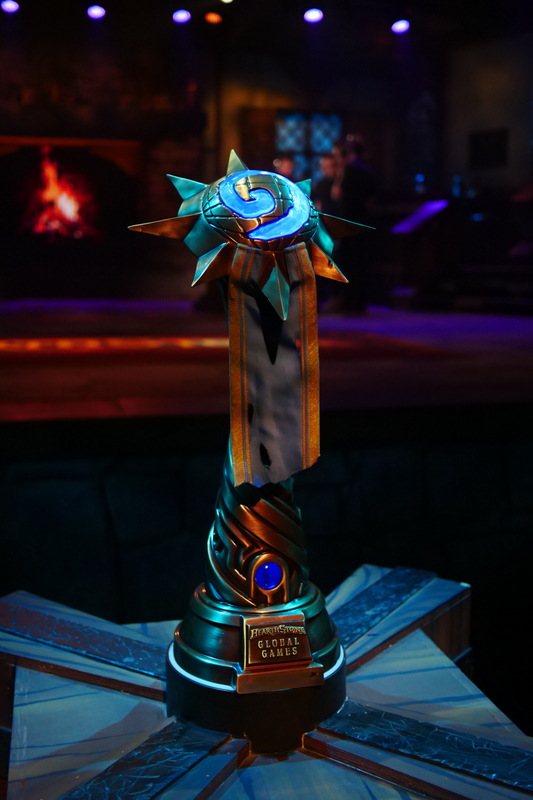 With the beautiful design work of Jonah Lobe, we created a 26″H antiqued brass piece with illuminated mana swirl elements and a weathered cloth banner. 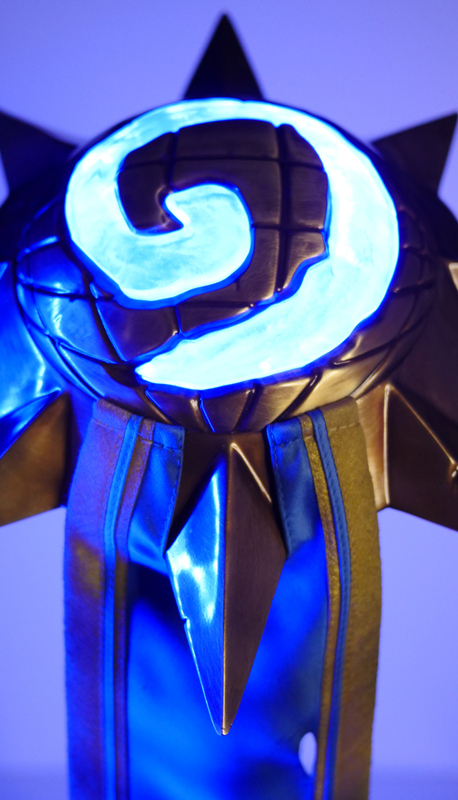 The central tower is a solid clear blue casting, cored out to include over 100 bright blue LEDs, while the top star includes a hollow dome casting and clear blue swirl lit by two dozen more LEDs. 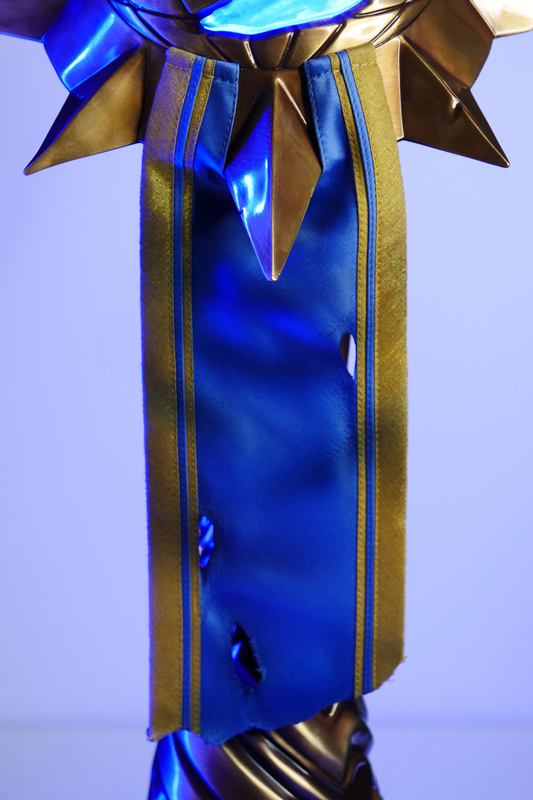 The finished piece is able to glow brightly via an internal battery pack (for use during award ceremonies) or with an external 110V wall power adapter. 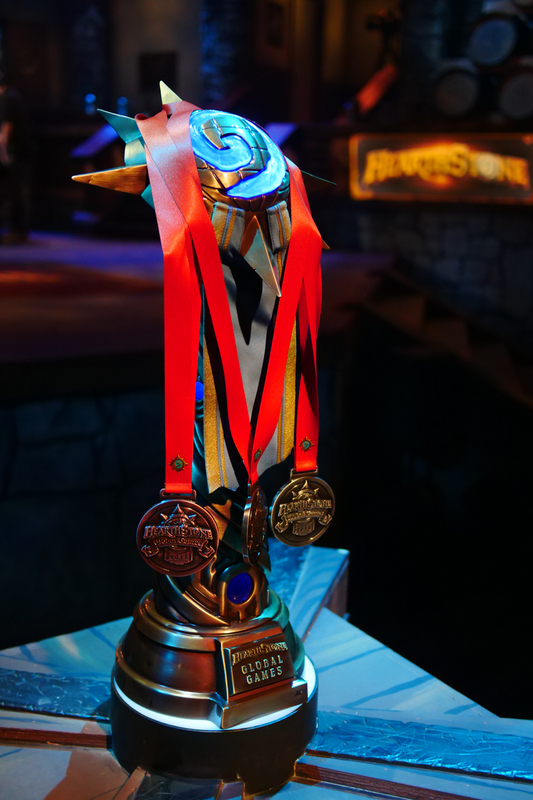 To compliment the trophy, three sets of medallions were created for the top three teams in the championship. 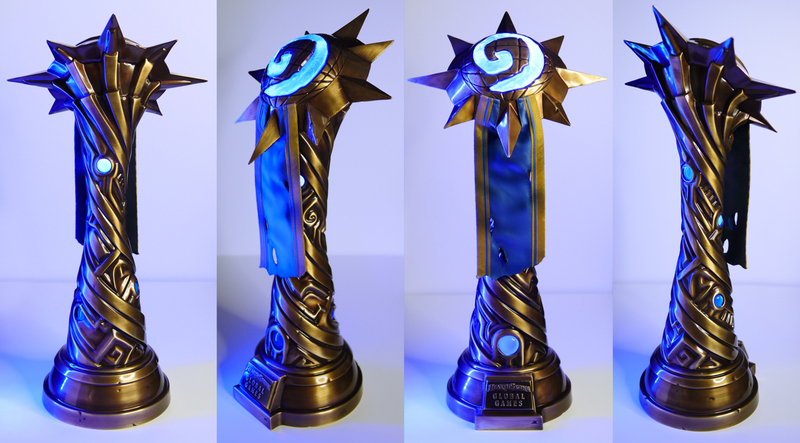 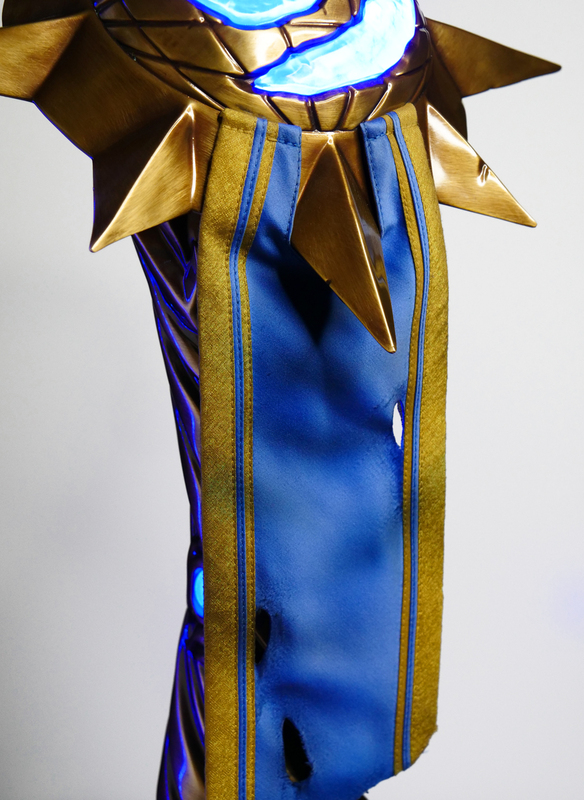 These were cast and plated in brass, silver, and copper before weathering and assembly with custom printed lanyards bearing the Hearthstone logo.